Surveys of business executives have shown that 75 percent of them watch work related videos on business websites weekly, and 59 percent would rather watch a video than read text. Video is a necessary component of your marketing strategy if you want to reach busy prospects and leads. JONES understands what makes a great video, how to create those videos effectively and efficiently, and how to use them as an integral part of a comprehensive marketing strategy, rather than an added-on after-thought. Download our two-page benefits sheet to see why working with JONES will maximize the return you get from your marketing videos. 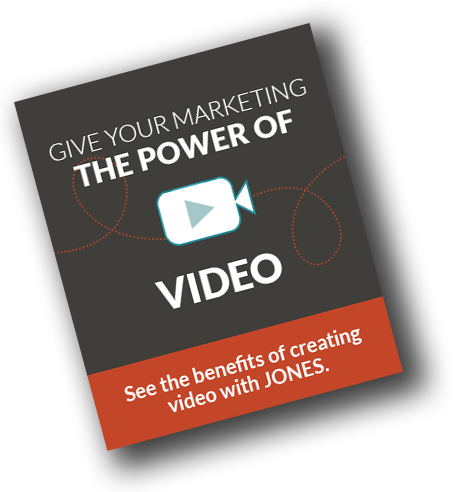 See how JONES can help you drive traffic and leads with marketing videos.